Sunday, March 8, 2015 • 1-4 p.m. The United Nations has proclaimed 2015 the International Year of Light to raise global awareness about how light-based technologies promote sustainable development and provide solutions to global challenges in energy, education, agriculture and health. Hundreds of adults and children joined Duke’s Fitzpatrick Institute for Photonics for an Open House celebration that explored the fun and fascinating science and power of light! Giveaways including hologram glasses, LED finger lights, T-shirts, souvenir photos and more! Quantities limited. View photos from our facebook posting. “Light” Play with a Nobel Laureate: Kids (and adults!) 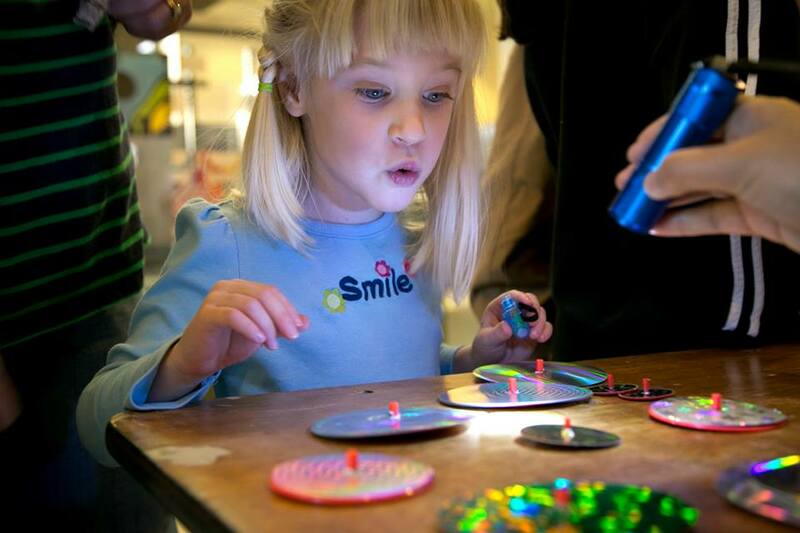 will be led through different photonics-related activities by Nobel Laureate John L. Hall (winner of the 2005 Nobel Prize for Physics) and Marilyn Hall, co-creators of the Sci-Teks Discovery Program for Kids. Explore hands-on exhibits of holograms, lenticular images, diffraction and more to learn about the science of light. Gigapixel Camera: See the amazing detail captured by the world’s first gigapixel camera, developed by our own Duke engineers—and pose for “zoomable” group pictures. Lasers in Art: Join Art Conservator Adele deCruz for a demonstration of how pulsed lasers can be used to clean works of art. Laser Soap Fountain: View an eye-catching and beautiful demonstration of laser light caught in a soap formation with laser physicists from Appalachian State University as they demonstrate a variety of physics topics from total internal reflection to non-Newtonian fluid dynamics. Light Pipe: Members of the Optical Society of America demonstrate how fiber optics work to speed data to your computer, TV and more. Hiding in Plain Sight: Check out the fluorescent properties of everyday materials like Play-Doh material, tonic water, detergent and more using laser beams. See Cells with a Cell: Check out cells, neurons, and other microscopic objects with a cell phone microscope—a novel technology that’s like having a lab in your pocket! Laser Chess: See how laser beams can be manipulated using optics tools such as lenses, mirrors and beam-splitters. international exhibition program showcasing an incredible variety of light-based science being researched today. 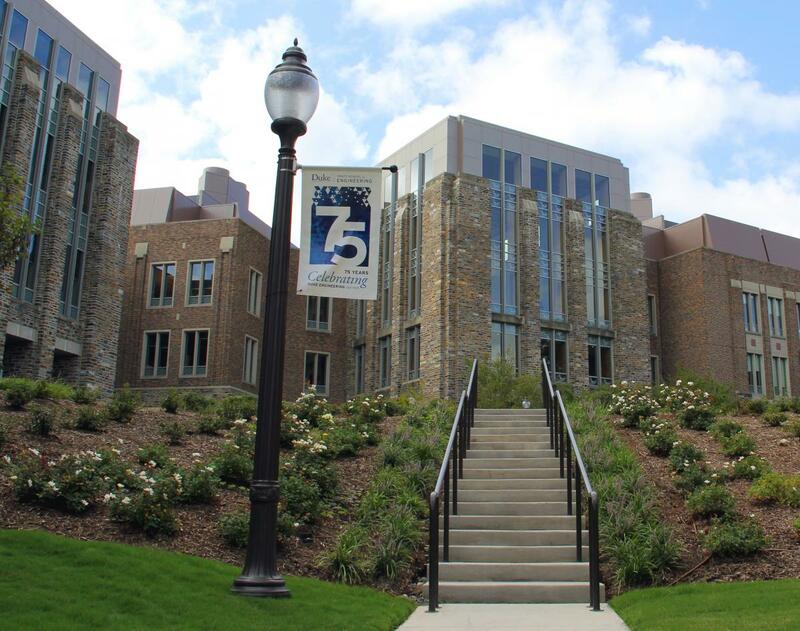 Virtual Reality: Experience 3-D virtual reality in DiVE, Duke's immersive virtual environment.